Bring a touch of serene elegance to your home with this stunning glass melt warmer which works wonderfully with Woodwick wax melts. Instead of placing a tea light inside, simply plug the unit in. 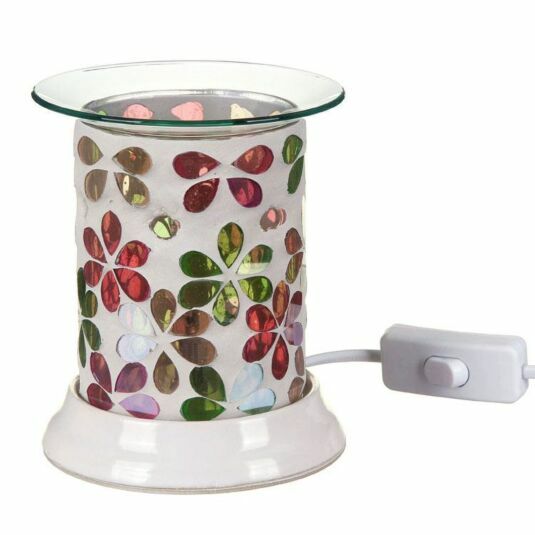 This electric melt warmer has a bulb inside that not only provides a beautiful glow, but also gently warms the glass top above, melting the wax melt and causing it to gently release its beautiful fragrance, bringing life and warmth to any room. This is a great way to experiment with new scents or even mix combinations of your own choice! You won’t have to worry about replacing the tea light when it runs out, or any fire hazards. 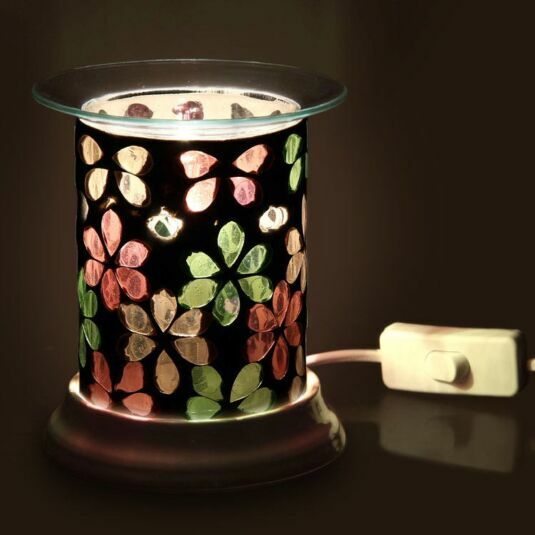 This melt warmer is a beautiful combination of pink, green and orange, and when lit, displays an even more stunning and vibrant range of colour.